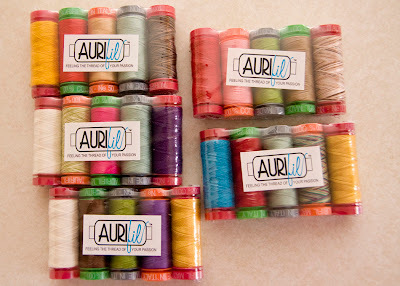 A couple weeks ago I received a fun little package from Aurifil. I received some spools of thread to try out. I can't wait to find the right project for that variegated thread. I received a spool of each type to try out. I also received a couple color cards. I love all these colors. I just want to display them. These are all their wool thread colors. And all the cotton colors. I admit I'm a little sad to give these away. I love all the fun colors and could definitely find a use for them, but five of you will get a chance to win a set of threads from Aurifil. Each pack contains a spool of all five Auriful threads. Just leave a comment, and Mr. Random will pick our winners on Tuesday, September 20th. I've entered every contest for Aruifil thread and have yet to win :) Thanks for another chance! This is great. Thread is something I have not started stashing. I just buy as I go. Thanks for the chance. They look so pretty sitting there, the little spools are very cute!! I love Aurfil threads...thanks for the chance! I loved your mug rug. How fun :) Thanks for the giveaway! Great giveaway! In addition to piecing and quilting, I'd like to try it for embroidery, too. Love the great colors! Thanks for the giveaway! How very cool. And what a great selection of samples to try. Thanks for the giveaway! I would love to try out the thread. thanks for the giveaway! I'd love to try their thread! Thanks! Ohhhhhhhh! Mr. Random, pick me pulllllleeeeeesssss! I love color cards as well! I haven't tried their thread, and didn't realize they made so many types. Don't laugh at me but I feel bad now entering the giveaway when you'd love so badly to keep one for yourself! My heart goes "oh!". Thank you for pulling through and carrying on with the giveaway regardless! Wow! I've been wanting to try aurafil thread for a while now. Thanks for the chance to win some. I hear good things about this thread, but I have yet to try it. Wow! Thanks for sharing the Aurofils. I do love that thread. I LOVE Aurifil and have been dying to try out the other weights, I usually use 50wt. I keep entering these giveaways and have yet to win, keeping my fingers crossed that I'll get lucky with yours! Oh fun, thanks for the chance! I’ve had one taste of Aurifil—28wt that I used to quilt with. But that is the only thing the shops near me carry! 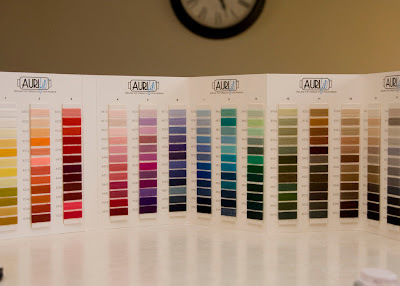 I'd really love to try Aurifil! Thanks for the chance! I'd love a chance to win these! Thank you for the giveaway! OOh, I'd love to give these a go. I'm a sucker for advertising and these are everywhere at the moment, just tempting me! The colors are beautiful, hope I win one. I've just started using some of this thread and I love it! I didn't realize 40 was the weight to use for quilting. I'm pretty sure I've always used the 50 that I piece with. I'll have to give it a try! I've heard great things about Aurifil, but I haven't tried it yet. Would love to win! I love Aurifil thread and would love to try some other colors. I use it mostly for piecing. Me and my sewing machine both love this thread, I use it almost exclusively. I would love to try their thread. Lovely colors. I usually use YLI, but I'd love to try something new. How fun! I've never tried Auriful before but I'd love to. Look at all those colors! I've never tried Aurofil. Thanks for the chance to win some. I've been watching this thread for weeks now. But, I have broke down and bought any yet. I hear so many good things about it... I would love to TRY it before I invest, ya know? Wouldn't it be nice to win this! Thank-you for the chance. I'd love to try some Aurifil thread! I use the 50w all the time but haven't tried any of the others so a sample pack would be fabulous! uh, that would be great to have a pack to try! I'm so envious of those beautiful color cards! :) Would love to win a pack. Oooh! So fun! Thanks for the giveaway! I would love to win to try the different weights of thread. Thanks for a chance to win! Aurifil thread is the BEST! I buy white, beige and cream by the jumbo cone that's 6,472 yards! It may seem pricey at about $30, but it lasts for years for machine piecing, machine applique, and machine quilting. Thanks for the chance to win! I'd love to test out some new thread! Thanks for the chance to win! i love these threads, i bought some aurifil recently and love it, but would adore some new colors. alas, quilting all colors in seagreen is not so great. I would love a chance to try some Aurifil thread. I've never tried it, only read good things about it. Thanks for the chance. Aruiful is just a dream to quilt with! I would really enjoy trying the other weights for different applications! Thanks for sharing these! I keep entering all the contests for these threads but sadly I'm still Aurifil threadless. lol. I'm going to have to give in and buy it now. Thanks for the giveaway. omgosh how fun! I would love to win this! - pick me, pick me! I'm SO putting my name in the hat for this one! I haven't had the chance to use any Aurifil thread yet and so want to! I simply stink at picking weights of threads. *sigh* Thanks SO much for the chance to win! Thanks, Kati! I'd love to win! What fun thread! I'd love to try it! I'm intrigued by the different weights...I HAVE TO try them all. Thank you for the chance to win the experience. I would love a chance to try out aurifil thread! Thanks for the giveaway. Lovely colours. You can never have too many different colours, can you? Thank you for a lovely giveaway. I have been wanting to try these out, so this would be a super win!!! **fingers crossed** Thanks for the wonderful giveaway! 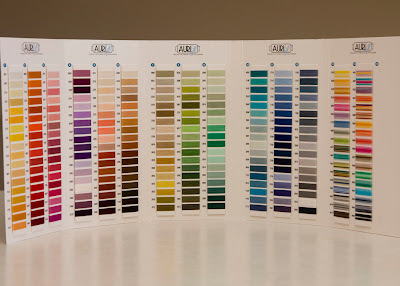 I would love to try aurifil thread, it's not available anywhere near me! Thanks for the giveaway! I've been wanting to try Aurifil thread for quite a while; never have I heard a complaint. Thanks for the giveaway. oshnpashn at gmail dot com. thanks for the giveaway. I'd love to win some aurifil thread. Ooh I would love to win these, heard so much about Aurifil! Lovely giveaway thanks! I've been dying to try Aurifil! Thanks for the giveaway! Lucky ducky you. Lucky ducky me?! Man, everyone talks about how great this stuff is, so I'm dying to try it! Thanks for the giveaway! I would love to try Aurifil thread, thanks so much! those threads look positively delicious. thanks for the chance to win! I have been wanting to try out this thread for a while now! I've never tried Aurifil before but I would love to! Thanks for the chance to win. 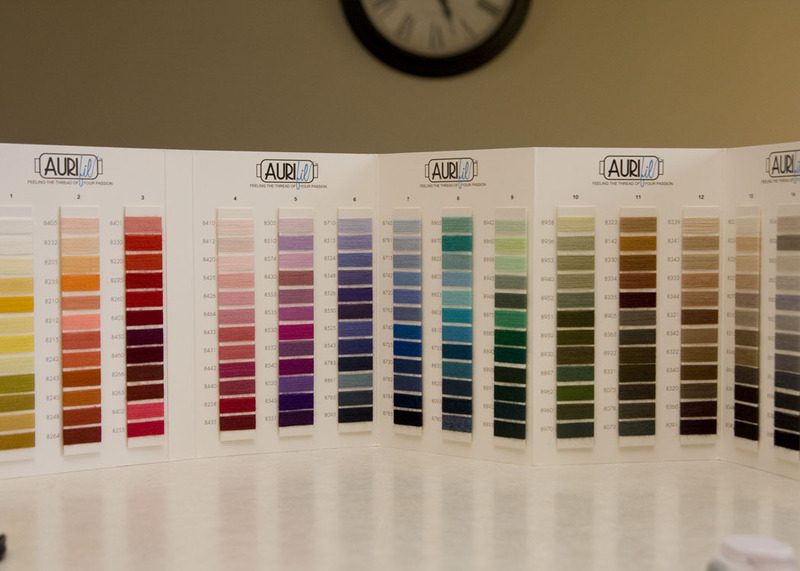 Aurifil thread is like a rainbow! Thanks for the giveaway! I really need to try this thread out! it's all over the place in blogland and I have yet to try it! Thanks for the chance! I would love to try this thread. Please enter me in your giveaway. 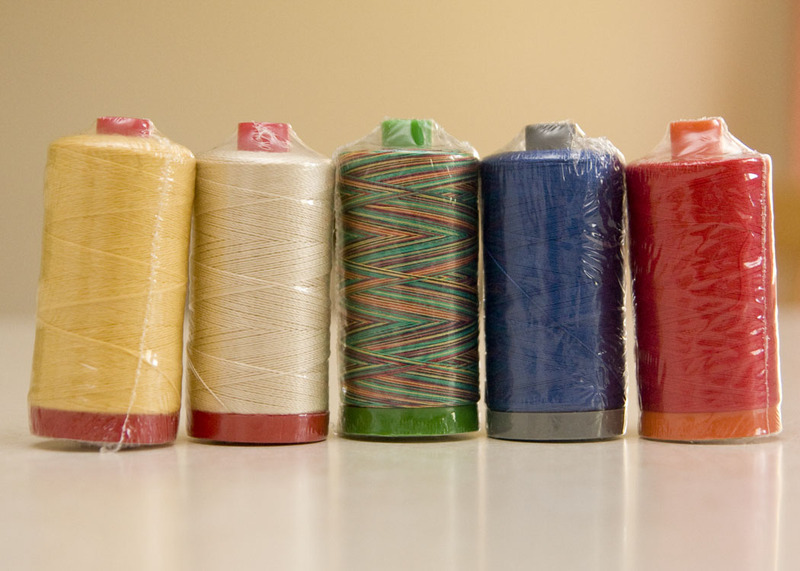 Thanks for a chance to win these pretty little spools of thread! I love Aurifil thread. Thanks for the opportunity to win some, and I enjoy reading your blog, I follow you on Google Reader. I love Aurifil thread! Now my machine actually gets mad if I try to use anything else in the bobbin (...or I just hate adjusting bobbin tension :> ). Thanks for the chance to win! i would hang those color cards next to my Kona color cards!! thanks for the opportunity to win some aurifil! What lovely colours. I too feel as though I need a colour card to go with my Kona one! 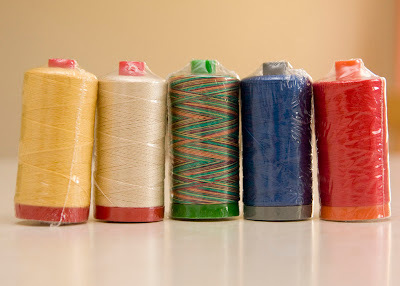 I have never used Aurifil thread, but it sounds like it is THE thread of choice for many quilters. Thanks for the chance to win. Thanks for the giveaway, I love trying new products! I have read a lot of good things about aurofil and would love to win some to try myself. Thanks for the Auril giveaway! You are so lucky to get such amazing packages of awesomeness in the mail. All I ever get are love letters from VISA! Thank you for the wonderful giveaway! I'm amazed at the colour range of these threads! Thanks for the giveaway! I read so much about how fabulous this thread is. I'd love to try some. I have never tried Aruifil thread. I can't wait to use some. I've heard lots about it though. Thanks for sharing. I would love to try this thread! I keep missing chances at winning but at least now I have one. :) Thanks! I have one spool of Aurifil and love it for machine piecing. It would be fantastic to have more colour options to try it out for quilting. Thanks for the great giveaway opportunity! I want to try some Aurifil, especially the sashiko thread and hand sewing weight and applique weight and piecing weight. Thanks for the chance to win a sample. I'd love to give these a try! I've been trying to find them locally so I could give them a try but I can't find them. wonderful. thanks for the opportunity! Do you know if you just sew wool or wool blend fabric with wool thread? I know my LQS just started stocking their cotton thread but I haven't tried it yet. I would love to win, I have never tried this brand. thanks! While I am sure they are difficult to send off, I hope they will be visiting the Gap! Thanks for sharing...your mother can be proud! Pretty colors. I'd love to give it a try. would love to try something other than the Guterman's ive been using for a long time! I'm hoping to win so I can try Aurifil. Everyone who has sewn with this thread raves about it. Oh I have been wanting t try this thread!! I am keeping my fingers crossed!! I've been wanting to try this thread. I've heard so many great things! I'm down to the very last of my first spool of Aurifil, I love it. Thanks for the chance to win! I use the thread for piecing all the time and LOVE it! I'm dying to try all the different weights and would love to win a set. Please, please, please...I want to win...please, please, please. I'd love to try these threads. OMG - how awesome it would be to win this! THANKS! I would love to try this thread! It supposedly does not produce lots of lint -- can you imagine? Beautiful threads. I'd love to win and thank you for the opportunity. Oh, I would love to win some Aurifil thread. I've never used it before, but have been wanting to try it. 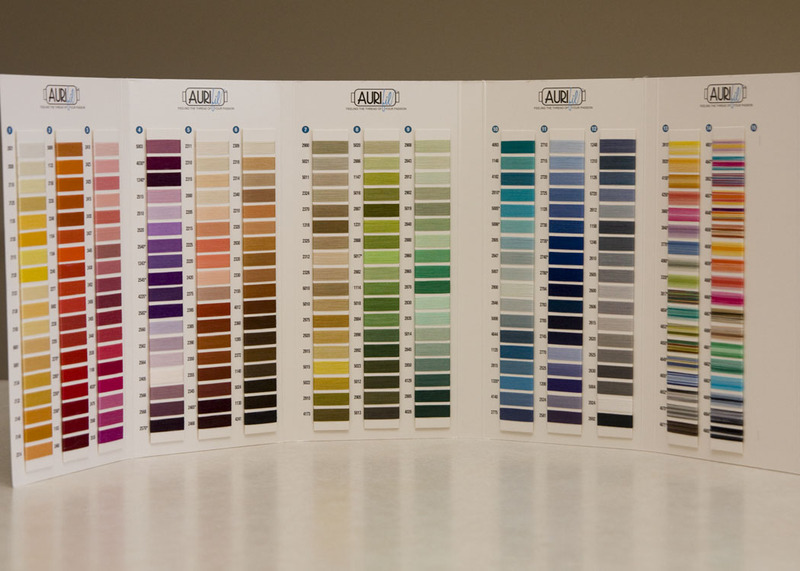 I'd love to try out some of those colors...never used Aurifil before. I still have not tried Aurifil thread. There a no local stores that sell it, so it is available only online. Would LOVE to win these! Thanks for the giveaway! I've not tried Aurifil but I know of several longarm quilters that swear by it! Thanks for the chance. The colors are gorgeous. I would love to win. PS. I am new to your blog and loving it! I'd love some of those bursts of colour! I'm a huge fan of Aurifil, and I'd love to add these to my (so far) sparse collection! Thanks! Aurafil thread has received so many rave reviews-I'd love the chance to try them myself. Thanks for sharing your Aurafil gift. I love the variegated one too. Wow! I'm impressed! 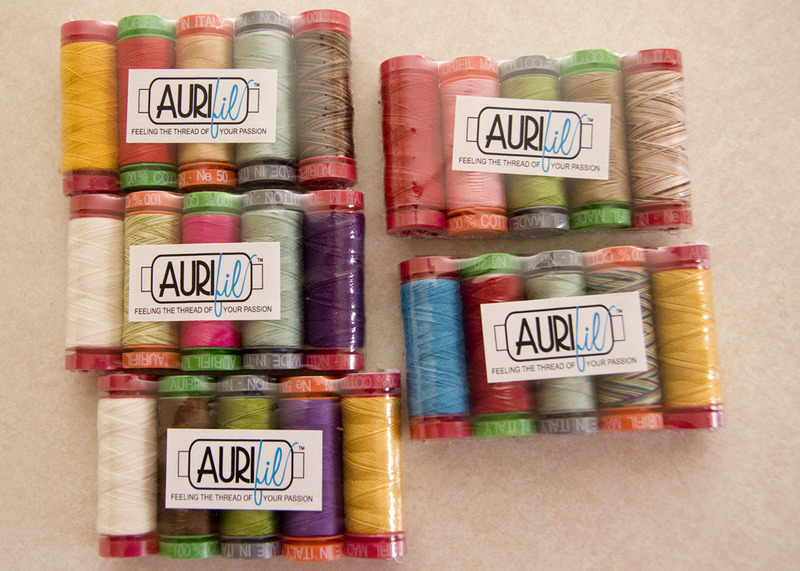 Giving away Aurifil!!! Thanks for sharing! I have heard so many good things about Aurifil thread. I sure would love to try some! I have been a mettler girl for years but all this talk of aurifil lately and I think I need to try it out! I would love to try these threads. thanks for sharing! Thanks for the giveaway. It would be great to try these threads. I'd love to see what you will use the variegated thread for. This is great thread! Thanks for the giveaway! I would love to win these threads as I have heard such great things about aurifil but have never tried it ,thanks for the chance to win. Oh yes please, I would love to win some Aurifil! I love the aurifil thread for hand applique and would love to try the machine piecing thread as well. Thanks for sharing. I keep hearing how great this thread is and would love to try it. I'm such a novice when it comes to threads - I'd love the chance to try some different kinds and get a feel for what is out there available. I'd love to try some different threads and see what is different and better. Thanks for the giveaway! loving the varigated thread thanks for the chance! I would love the chance to try these out and discover what all the 'fuss' is about! I'm ready to be impressed! I love Aurifil threads. Thanks for a chance to win. I love Aurifil thread, Kati. Thanks for a lovely giveaway! I'd love to win so that I could try Aurifil threads. I'm dying to try some of this.. everyone keeps raving about it! You'll have to let us know how you like the thread. I've heard good things & keep meaning to try it out for myself. have not tried these yet BUT would like too...thanks for the give away!! I'm so sorry you are sad to give them awway but I'd be soooo happy to win them - I've never used Aurifil & the colors are so yummy. Thanks for the chance. I'd love to try Aurifil. Thanks for the chance! Parting is such sweet sorrow. Sweet for the one who receives. Sorrow, sometimes, when your mind plans its use before you can blink. Cool! I love using Aurfil thread. It leaves behind less lint than other good threads. Oh, I'm looking forward to trying this thread. I hear such amazing reviews! Thanks for the chance. I agree with you...oh the colors, the wonderful colors! I'd love to win some Aurifil thread. Thank you. I am now following your blog. Dying to try some Aurifil. Have heard so much about the various weights. Cant find it at my LQS. Thanks for the opportunity to win! Thank you for the opportunity to try out this thread. The colours look wonderful. I can't get Aurifil locally so I would love a chance to try it out! Beautiful thread - pick me, pick me! Gorgeous! I've been wanting to try Aurifil :) thanks for sharing! I've never used Aurifil thread but I'd sure love a chance to try it out! The colors are very nice and would be good for tatting as well as for sewing. I doubt I have a chance in the world being so late, but here's a shot at it, Julie P.
I keep hearing such good things about this thread, thanks for the chance to win! I think I have a project or 150 that could really use those threads. I have never tried the Aurifil threads before and so far I haven't found them here in Mexico. I appreciate the chance to win some.